Wesley M. Hays, Sr., 96, of Novice, died Friday, August 17, 2018 at Coleman County Medical Center. Funeral service will be 2:00 p.m. Thursday, August 23, 2018 at the First United Methodist Church, 500 West Liveoak Street, Coleman, with Rev. Paul Judd officiating. Burial with Masonic Rites and Military Honors will be in the Rough Creek Cemetery at Novice. Services are under the direction of Stevens Funeral Home, Coleman. He was born Wesley Myron Hays on September 1, 1921 at home in Novice to Pitzer Lee Hays and Mary Pope Hays. He grew up in Novice and attended school there and graduated from Santa Anna High School in 1939. He attended Allen Academy for one year before attending Texas A & M. During the second semester of his freshman year, the Japanese attacked Pearl Harbor. 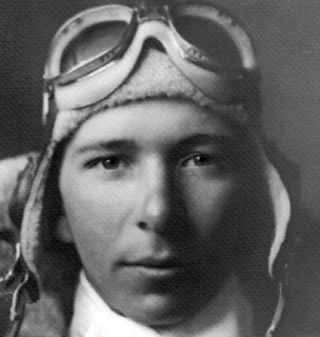 Wes joined the Naval Air Corps after the United States entered World War II. On April 3, 1943, Wes married his high school sweetheart, and the love of his life, June Kirkpatrick in the chapel at Pensacola Naval Air Station in Pensacola, Florida. Wes received his primary flight training in Grand Prairie and Corpus Christi Naval Air Stations. After receiving his Aviator Wings in February, 1943, he was commissioned as an Ensign in the United States Navy, and was sent to Photography School in Pensacola, Florida. He was later assigned to Green Cove Springs, Florida, where he transitioned to the F4U Corsair. He remained in Green Cove Springs as an instructor pilot for a year. He then was assigned to a new Navy Squadron, VBF-10, and assigned to the USS Intrepid. In February, 1945, the USS Intrepid sailed under the Golden Gate Bridge to join the Pacific Fleet. Wes was involved in action over the South Pacific from Okinawa, north to Japan and flew combat missions over China and the Philippines. On April 7, 1945, while serving as pilot with the Bombing Fighting Squadron 10 (VBF-10) attached to the USS Intrepid, he led his Division on an attack against the Yamato Task Force during hazardous weather conditions. He scored a direct damaging hit with his bomb on an OYODO Class Japanese cruiser during the Battle of Okinawa. When he returned to the USS Intrepid, his plane was pushed overboard because it had taken too much anti-aircraft fire from the Japanese and was deemed beyond repair. For his heroic effects, Wes was awarded the Navy Cross, which is the second highest award for valor other than the Congressional Medal of Honor, along with other campaign medals for his service over the South Pacific. The book, “The Twilight Warriors” by Bob Gandt, tells about the squadron’s efforts at the Battle of Okinawa. Mr. Gandt’s book, “The Twilight Warriors” was the winner of the 2011 Samuel Eliot Morrison award for Naval literature. Returning home from active duty in April, 1956, Wes was discharged from active duty with the rank of Lt. Commander. He remained on flying status in the United States Naval Reserve, stationed at Dallas Naval Air Station. While serving in the Naval Reserve, he transitioned to jet fighters and flew the F6F Cougar jet out of Navy Dallas at Grand Prairie. He retired from the United States Navy in 1963 with the rank of Commander. Wes was very civic minded. 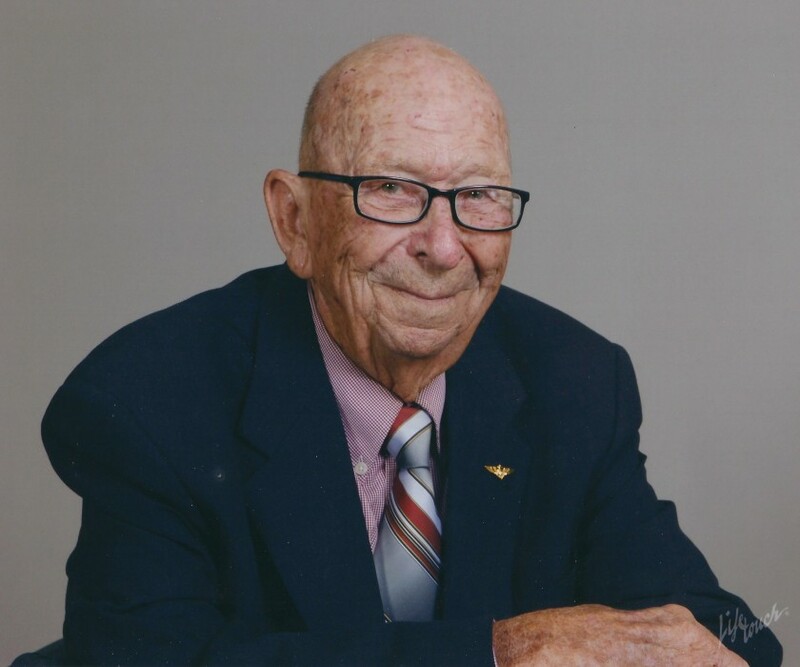 He served on the Winters City Council, was Mayor for the City of Winters, served on the Winters ISD School Board and was District Governor of the Lions Club in Winters. He was appointed to the Elm Creek Water Board and also served on the committee that named this area “The Big Country”. Wes received the Winters Man of the Year award in 1968. During Winters’ 75th Diamond Jubilee, Wes hosted Paul Harvey. He also volunteered to distribute funds through the Salvation Army. Wes and June owned the Western Auto Associate Store in Winters for 40 years, closing in 1988. Wes enjoyed talking to groups, relating his experiences while aboard the USS Intrepid, which is now a museum in New York City. In addition, he, along with other squadron members recorded their oral history while visiting the Nimitz Museum in Fredericksburg during a VBF-10 Squadron Reunion in 2007. He would also talk with school children during History class around Veterans Day. Wes was a member of the First United Methodist Church in Novice. Survivors include three children, Wesley M. Hays, Jr. and wife, Becky, of Winters, Michael S. Hays, Sr. and wife, Connie, of Houston, Marsha Hays Simmons of Cedar Park; 11 grandchildren, Melinda Hays Bates and husband, David, Michael Christian Hays and wife, Sara, Catherine Hays Reijans and husband, Marcel, Michael Stephen Hays, Jr. and wife, Shannon, Elisabeth Hays Nisley and husband, Luke, John Thomas Hays, and wife Maryarro, David Pope Hays and wife, Courtnie, Robert Wesley Hays and wife, Stephanie, Callie Simmons Micek and husband, David, Hunter Hays Simmons, Jason Derrick and wife, Kosal and 23 great grandchildren. He was preceded in death by his wife, June, on July 13, 2016; a daughter, Mary Christina Hays Derrick on October 22, 2016 and a sister, Virginia Hays Lee on August 3, 2002. There will be a visitation from 1:00 to 2:00 p.m. Thursday, August 23, 2018 at the First United Methodist Church in Coleman. Memorials in memory of Wes may be made to the Rough Creek Cemetery Association, c/o Wanda Motley, P. O. Box 2, Novice, Texas 79538 or the Novice Volunteer Fire Department, P. O. Box 21, Novice, Texas 79538.